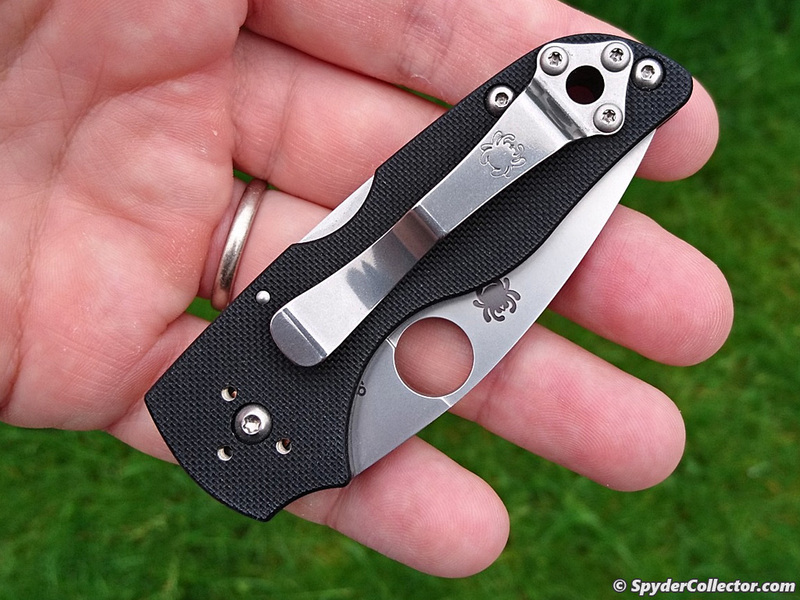 It’s been only recently that I can be considered a Spydernut. Little less than a year ago I bought a plain edged Military and have been pleasantly suprised. I must admit that this was entirely the forum’s fault ;). 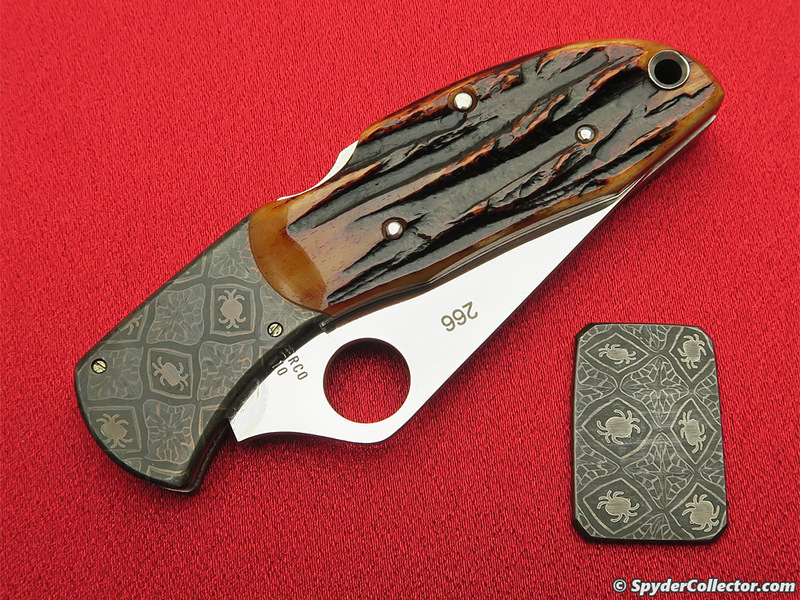 Little after that, I started to acquire a Moran, blue Ladybug and two Delica’s (plain & serrated). 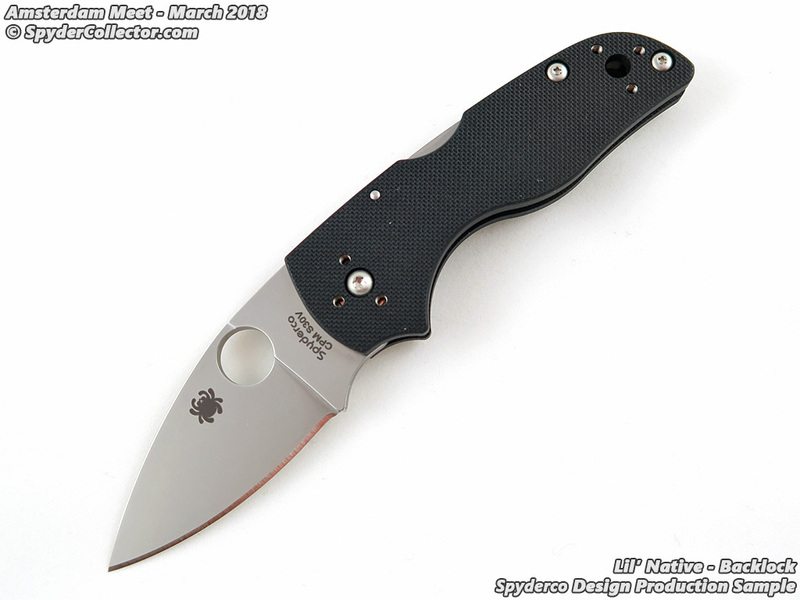 As the ‘spoiled’ little knifeknut that I am, I decided my Military deserved a better companion than the plain edged Delica I carried it with. 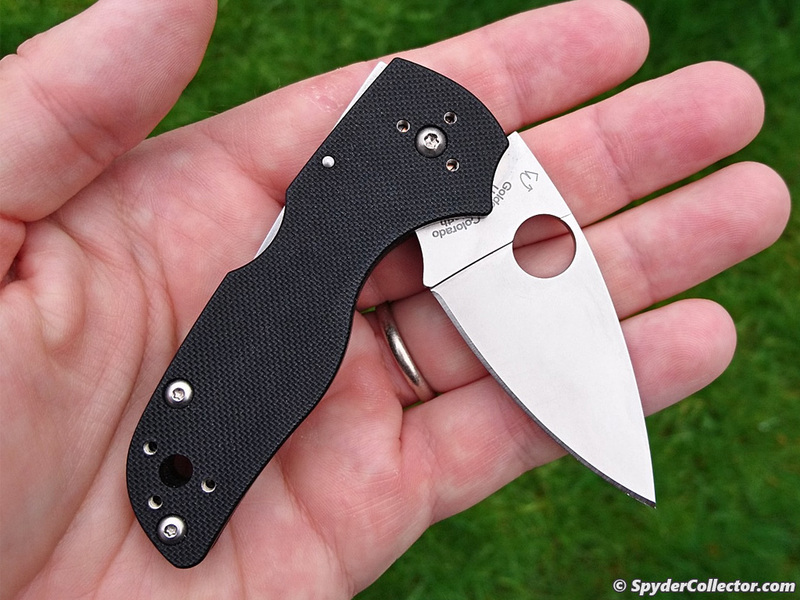 I always like to carry two folders, one left-handed folder for everyday chores and a right-handed larger folder for rarer tougher chores including possible self defense. 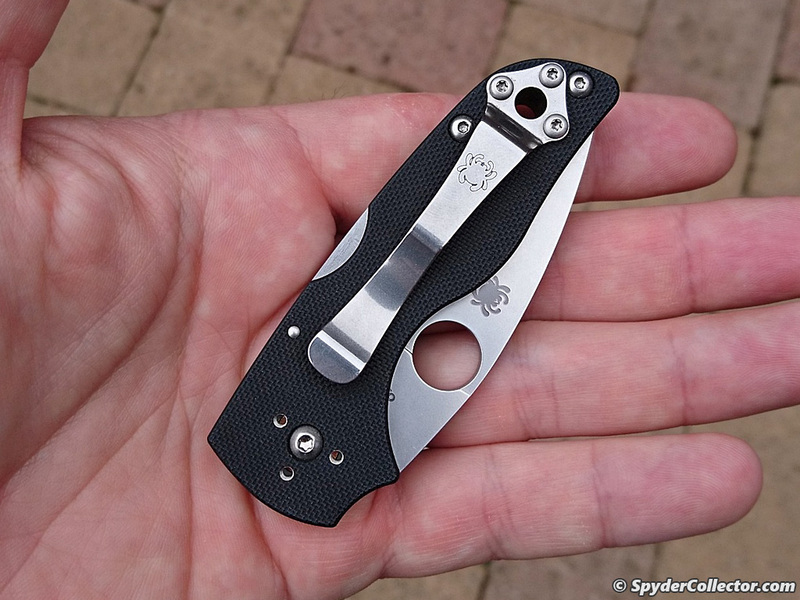 Before I had any Spydie, I already owned my trusty large plain Sebenza and some MT SOCOM’s. 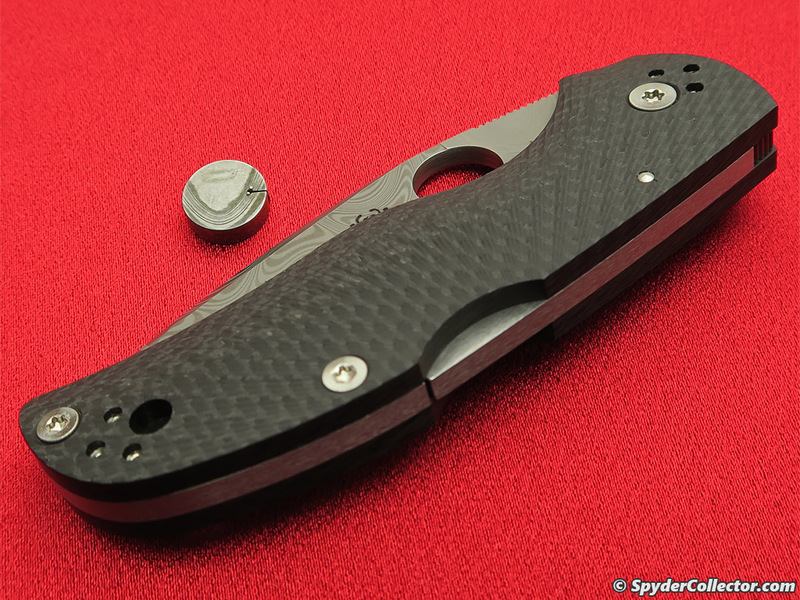 Since then, my Benchmades and CS Voyagers have been collecting dust and consequently, some have been sold. 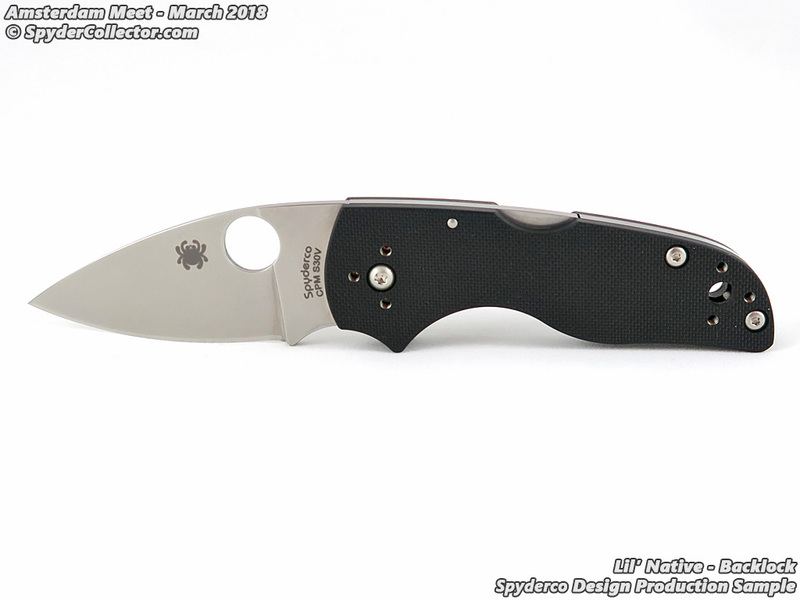 I always considered my Benchmades to be in the same class as Spyderco. 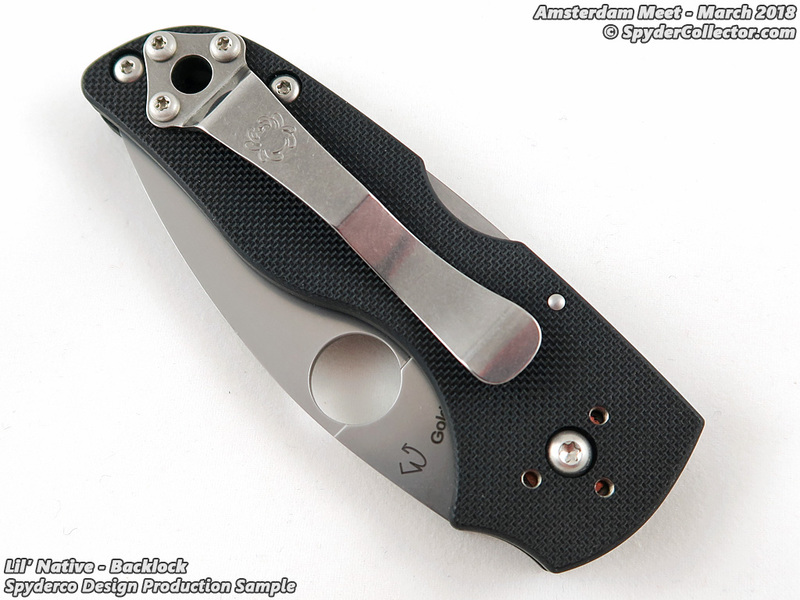 I was wrong, it is my experience that Spyderco not only provides better fit and finish, but also better performance. I like thinner edges for better slicing and cutting. 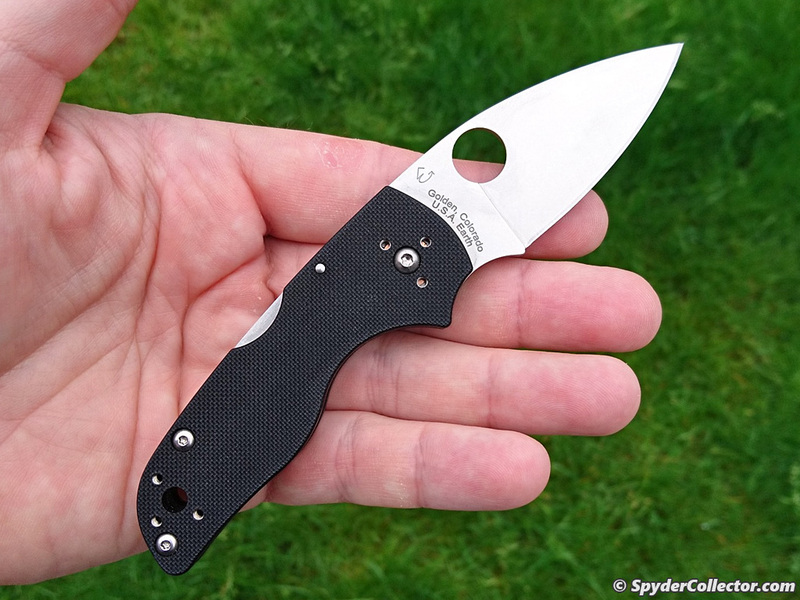 Spyderco does exactly that, for less money too (especially the zytel handled models). 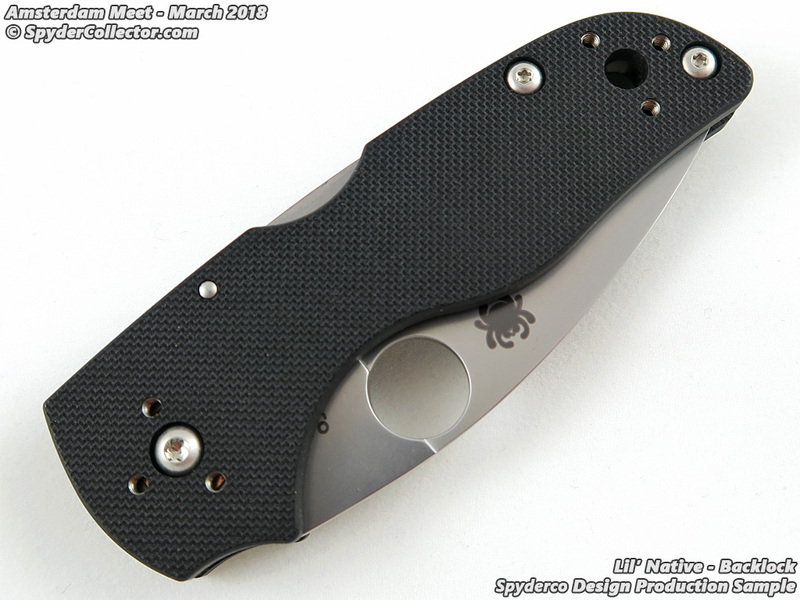 I feel that Spyderco especially shines, when it comes to left-handed models. 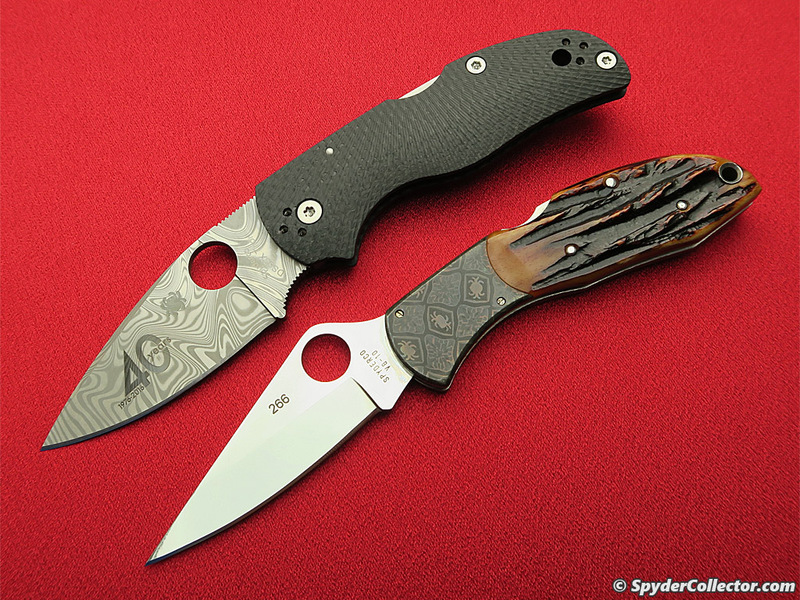 As previously mentioned, my Delica has been a faithful companion for everyday cutting chores, riding next to my Military. But now I have a 440V Native. Fit and finish are good. Although the center grind line just barely misses the point dead center, I find the grind lines straight and clean. 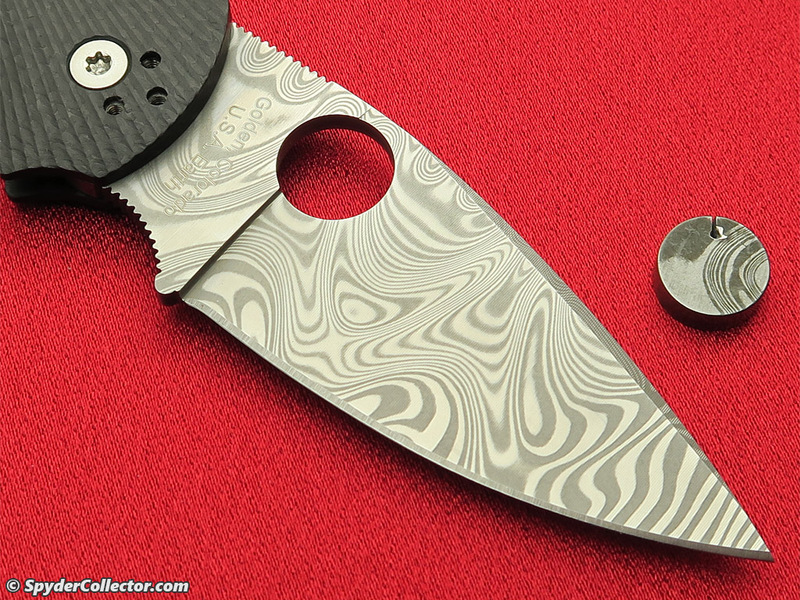 The finish is not like that on a Delica for example, this has something to with the (cost efficiency in working with?) 440V steel. 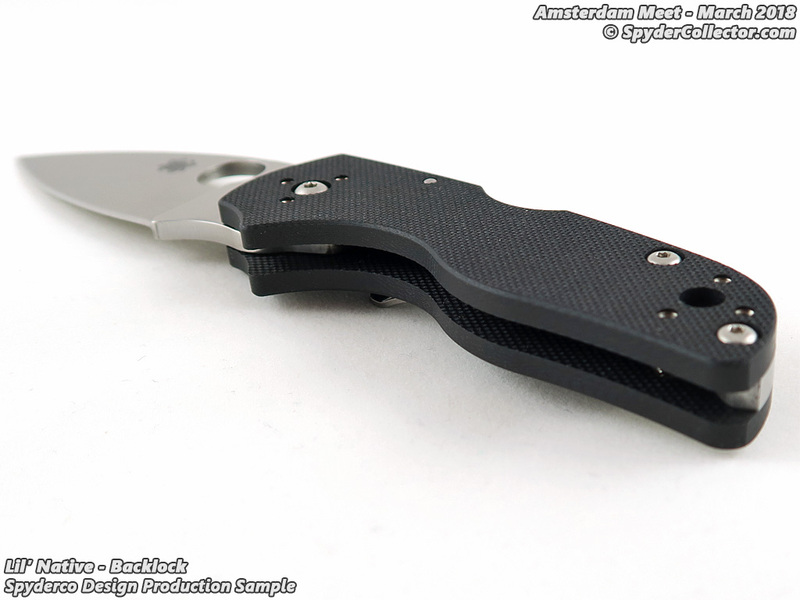 To me it looks a little like the stonewash finish on my Sebenza and MT UDT, and I like that. 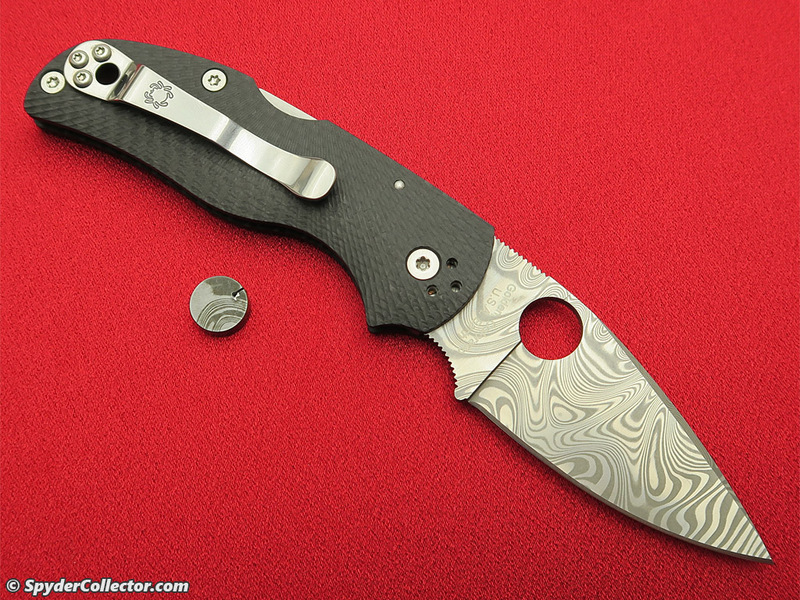 I expect this rougher finish to hide smaller scratches just as well as a ‘real’ stonewash finish. 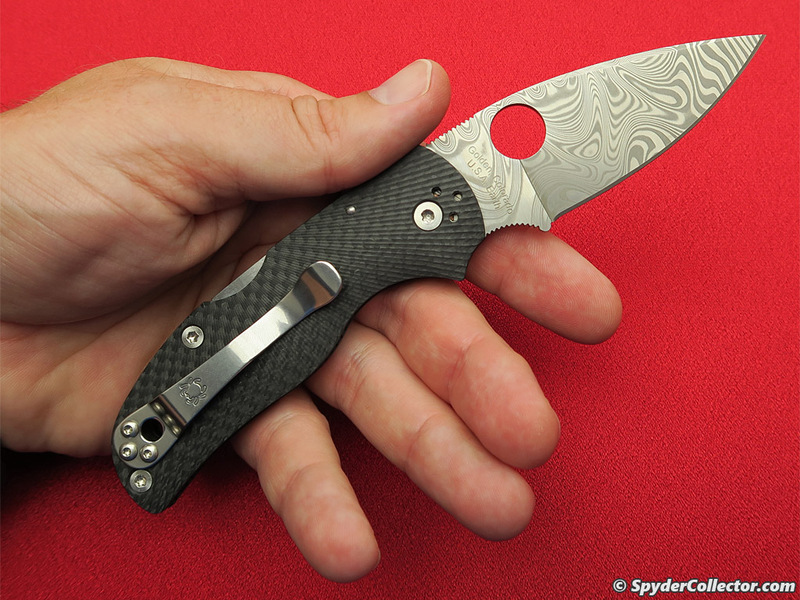 It contributes to the usability of the knife. 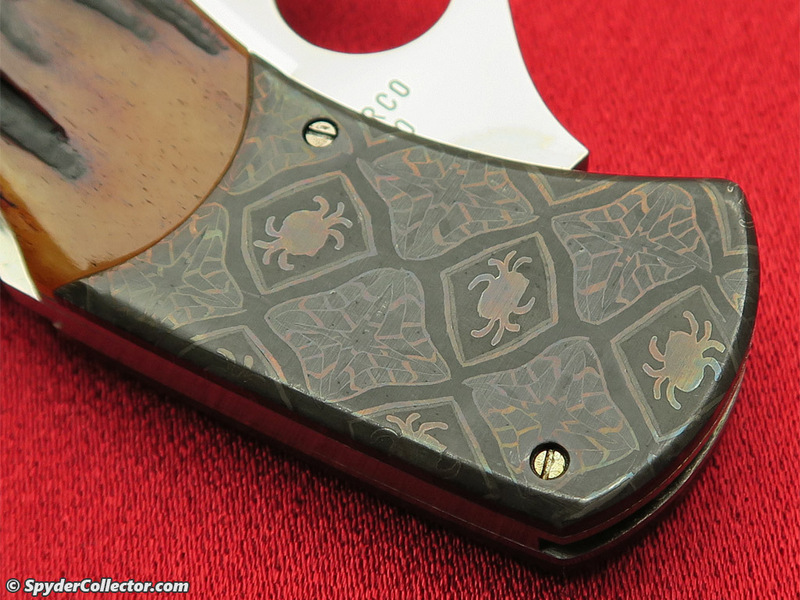 The thumb grooves on the spine of the blade are just right, like on my Military. 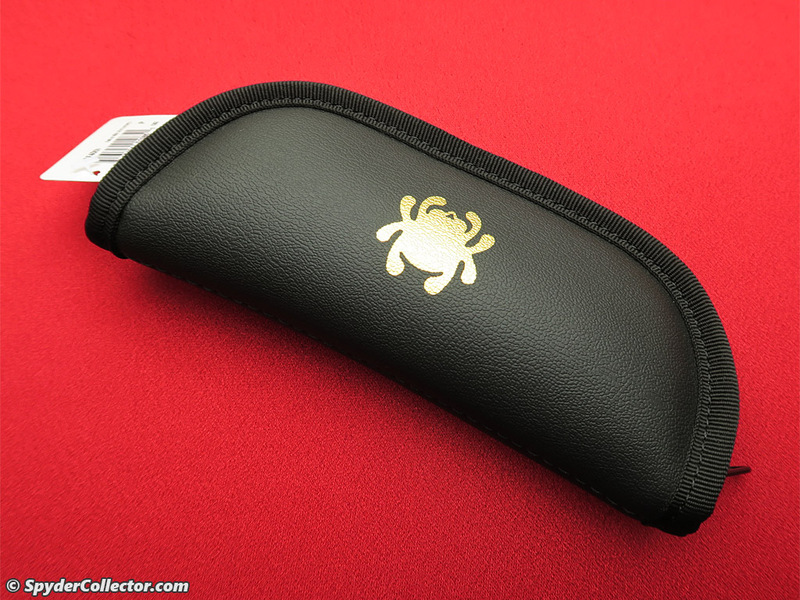 They aid in gripping without being too sharp or otherwise uncomfortable. 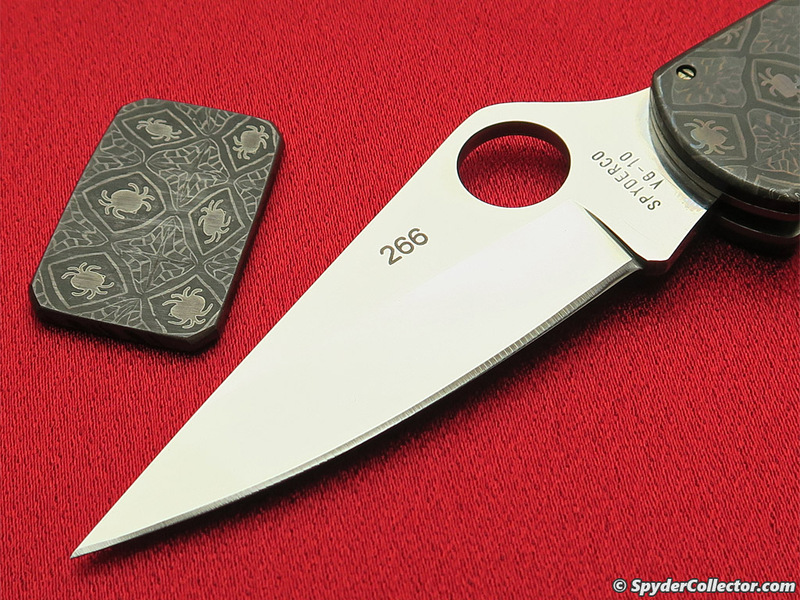 I like the false edge too. 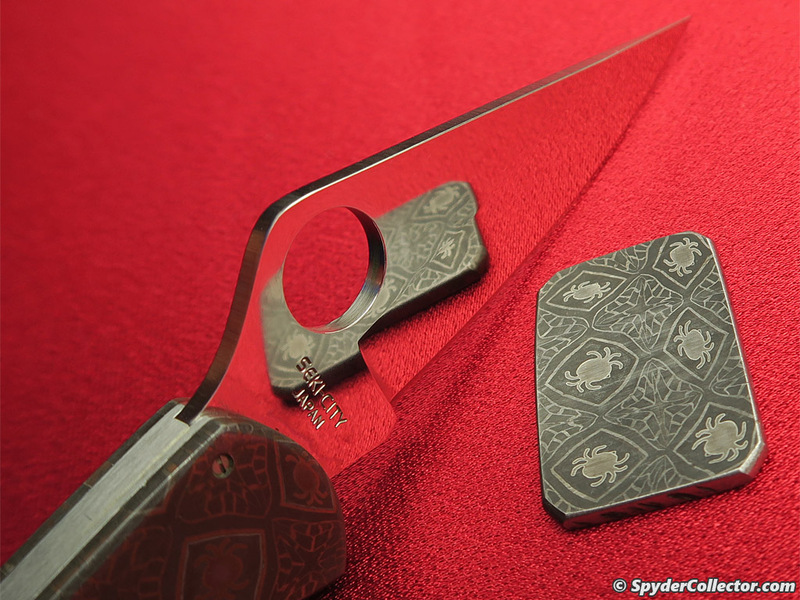 I am not too concerned with any increased ‘piercing performance’ that usually is ascribed to false edges, but it looks very very nice. 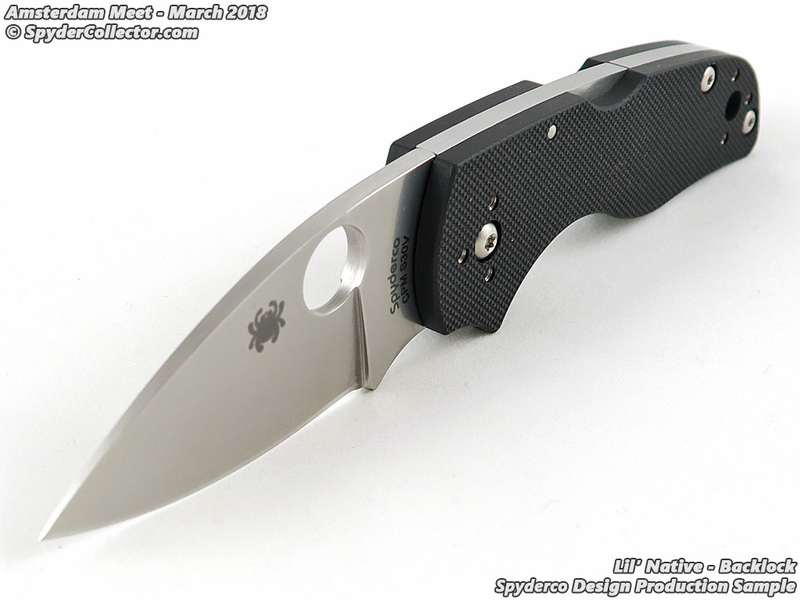 The point is quite sharp and looks delicate, although the fact that it is made from CPM 440V steel, and probably heat treated at around Rc 56-57 (like the Military? ), may compensate for this (I’m not sure though). 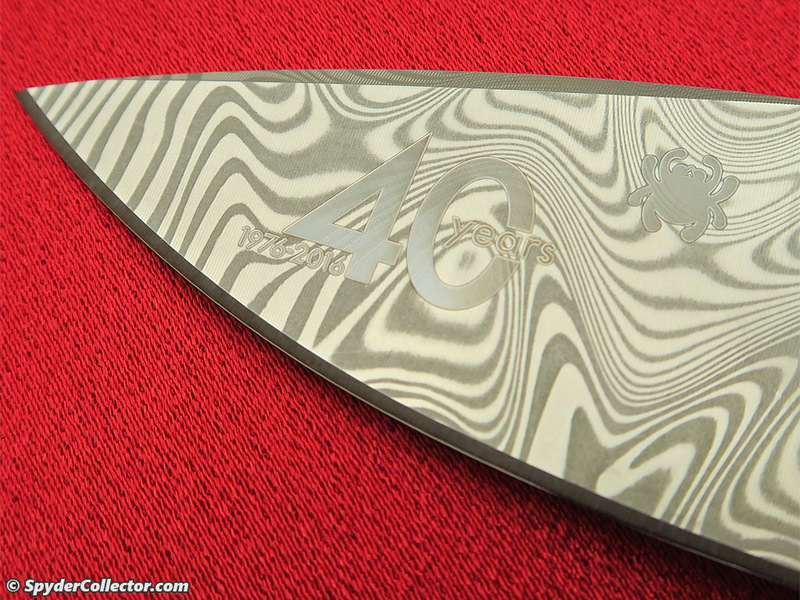 The hollow ground blade appears to slice and cut very good. 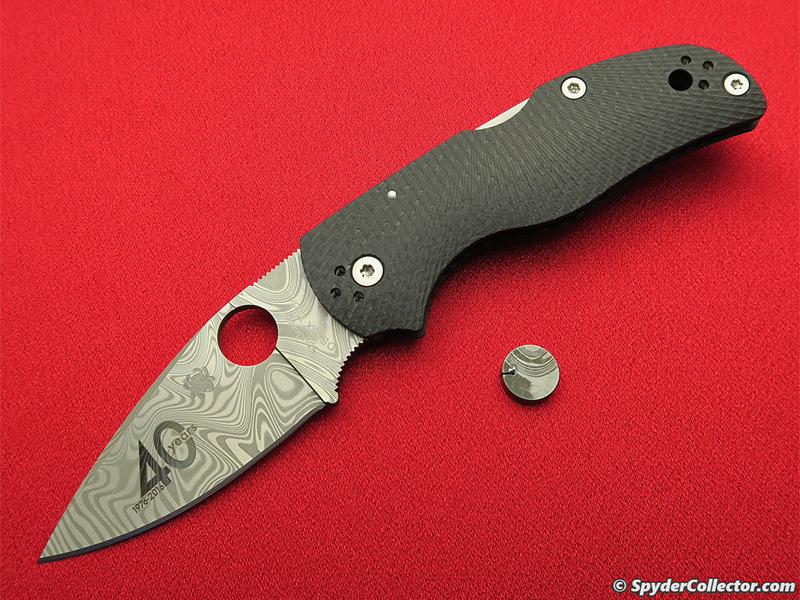 In my subjective opinion it cuts quite comparably to my Sebenza, Military, and SOCOM. All of which sport excellent performance ground blades and edges. 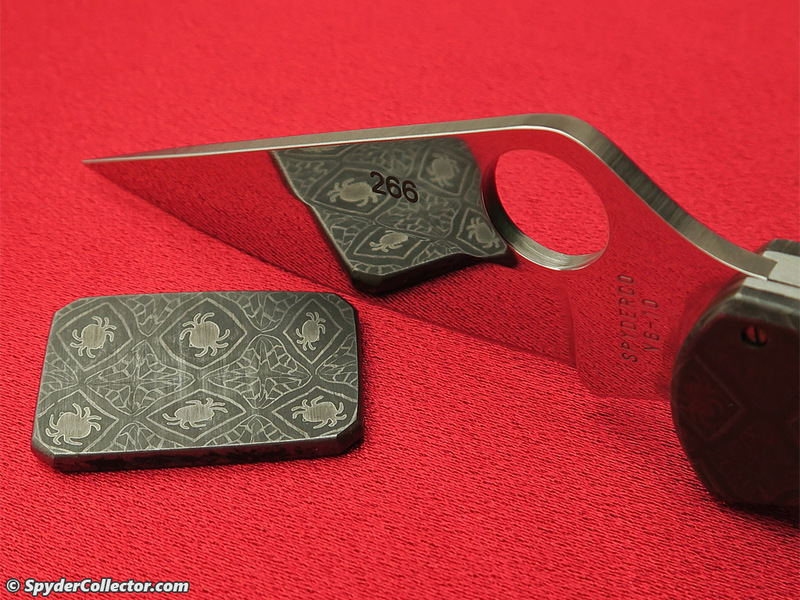 I must note however, that I am not a knife abuser or really into the technicalities and specifics of cutting testing. 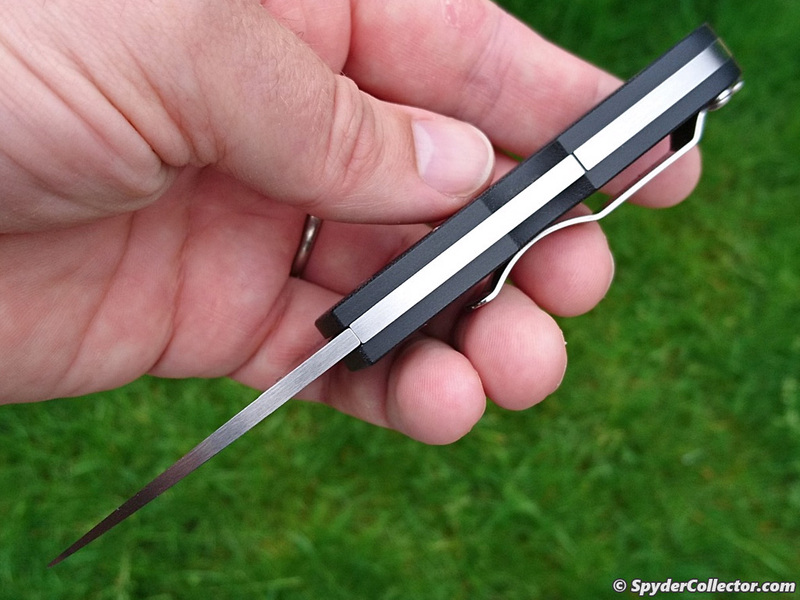 I use my knife for the more mundane daily cutting chores in an urban environment, i.e. opening letters, packages, cutting up cardboard boxes, food preparation. 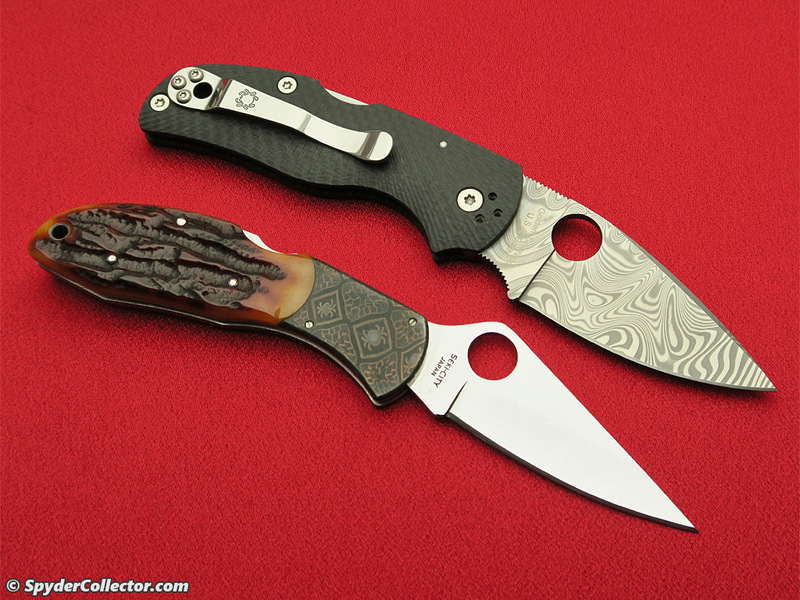 The Native is quite a different beast than the Delica! 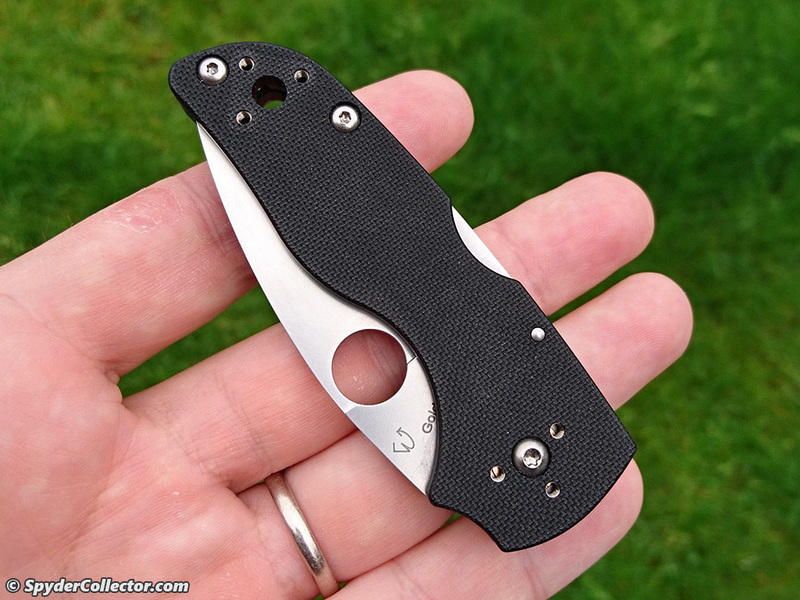 The handle and broader blade make my Delica look and feel a little wimpy, although they are roughly the same size.The Native really locks in my hand, a very secure grip. I don’t see my hand sliding up to the blade that easily. 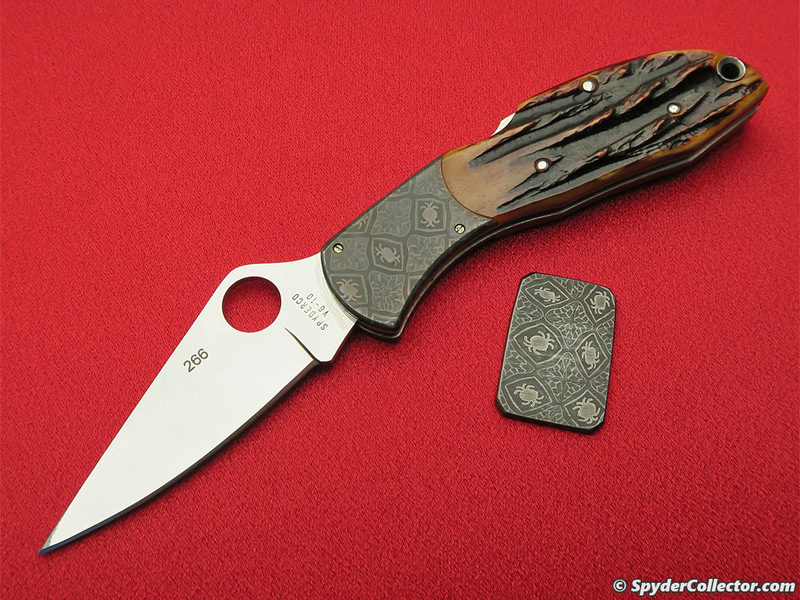 Since the Native will be my left-handed utility knife first and defensive back-up second, I like such a secure handle. 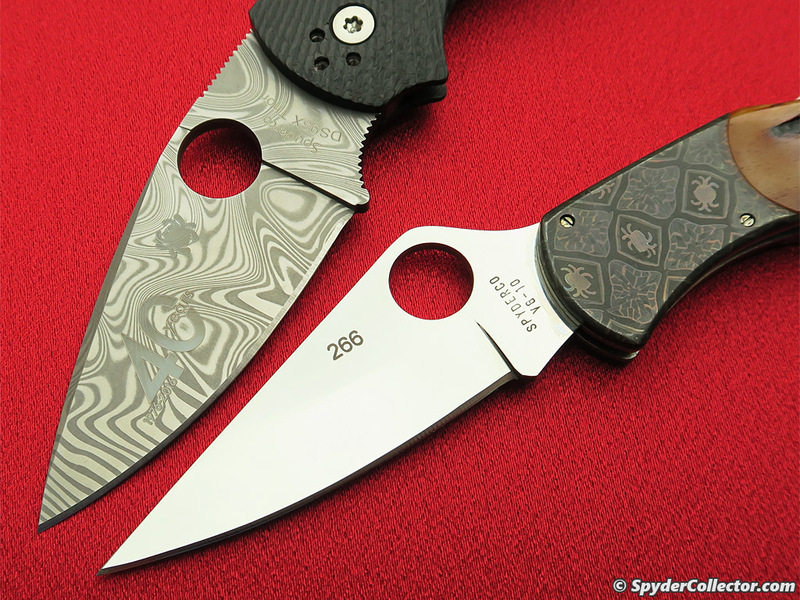 The choil and overall handle design make the handle appear considerably larger than the blade, like with my Military. Some people don’t like that, I do appreciate this feature. 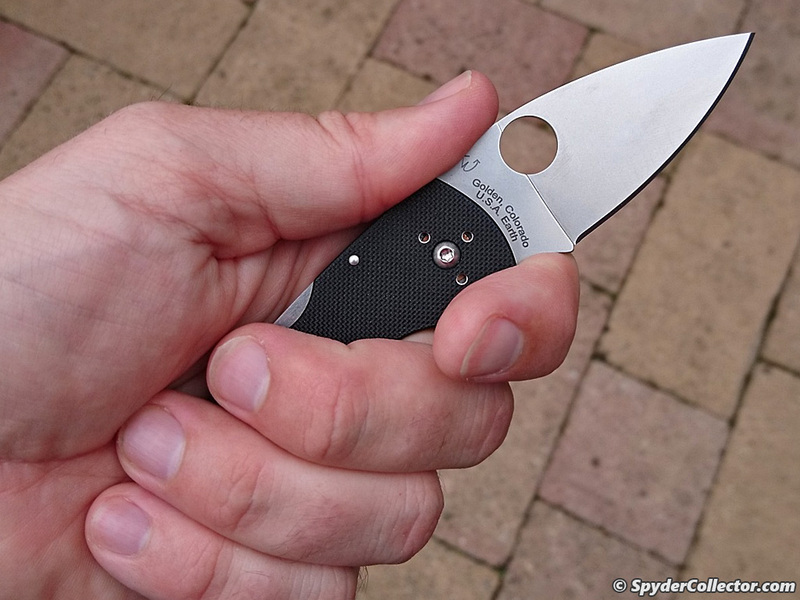 It allows for a mega secure grip, or different more comfortable grips for different chores. 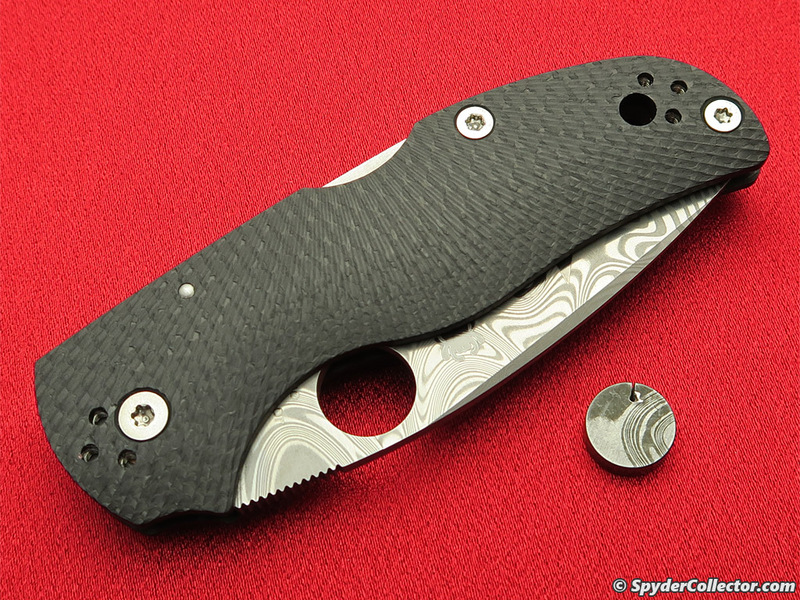 When closed , the thumbhole is not completely exposed, unlike my Military or Delica. 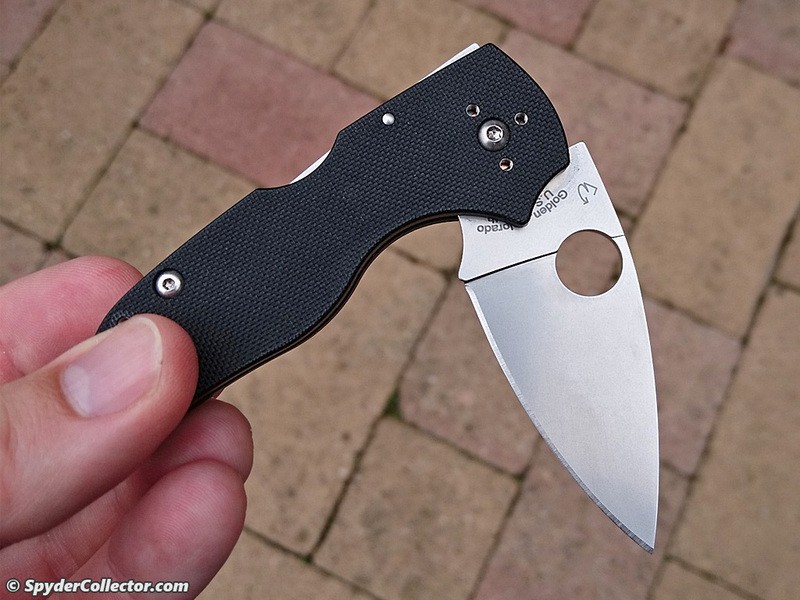 I would prefer a completely exposed hole (in folding knives only! 😉 ), but it hasn’t been a real problem yet. I guess it was some sort of design compromise. 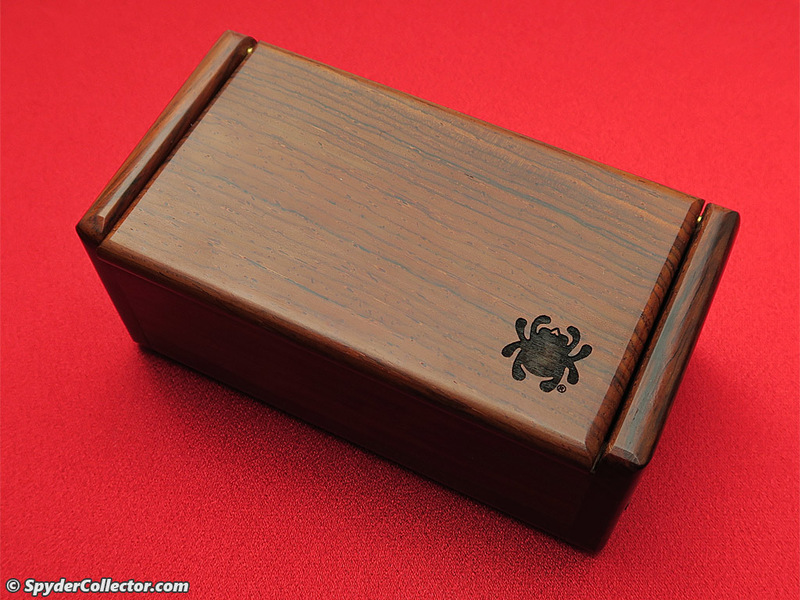 The Native is complety symmetrical, making it completely useful for both right- and left-handed people alike. 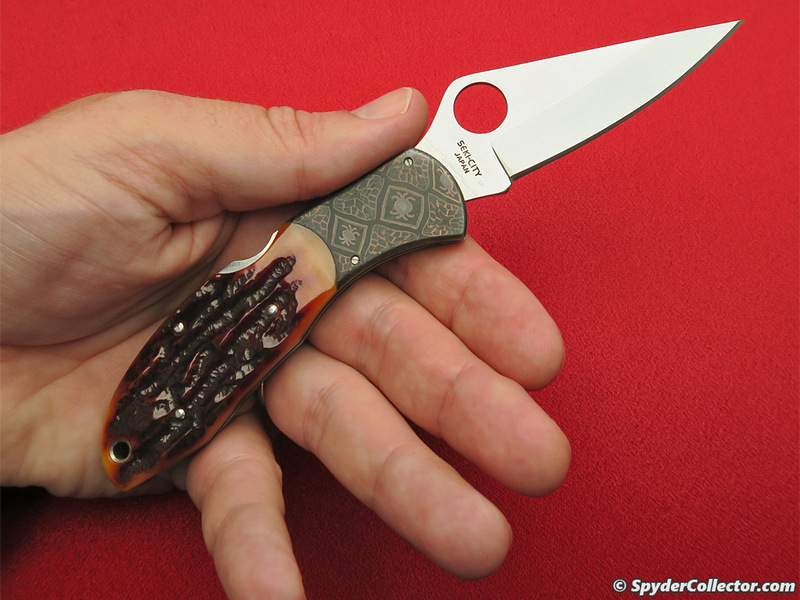 The handle is thicker than that of my Delica. It seems to ride more comfortably in my front waistband though. 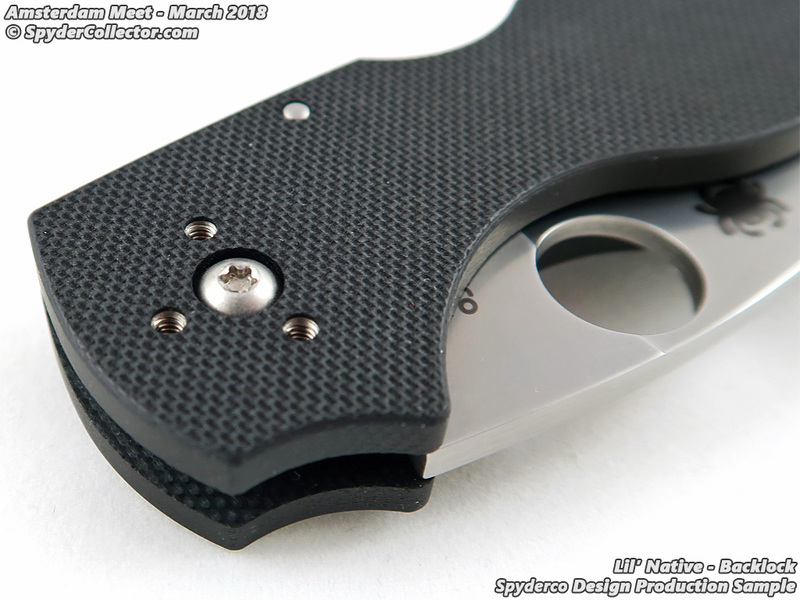 Spyderco zytel, or FRN is always snag free, allowing for only one sharp edge on the entire knife, the edge. IMO, the clip deserves a little special attention. 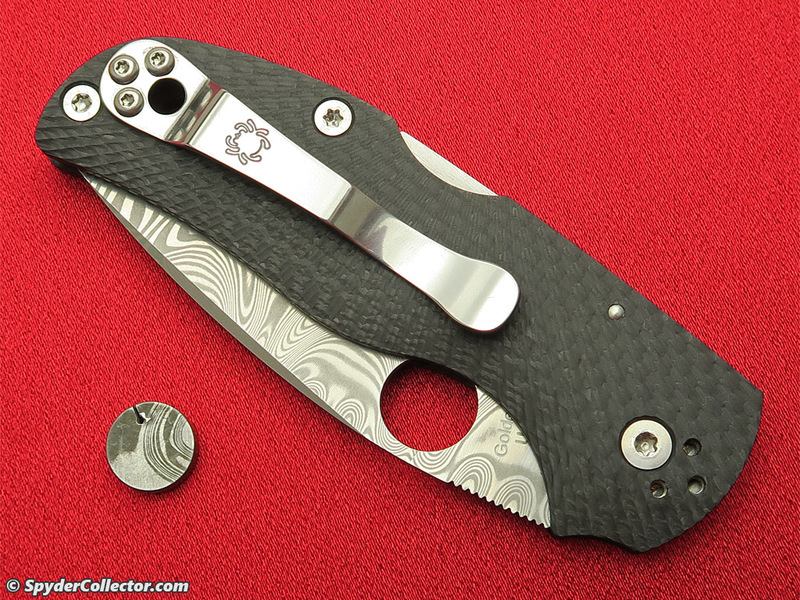 It is a slightly different design than that of my Delica. 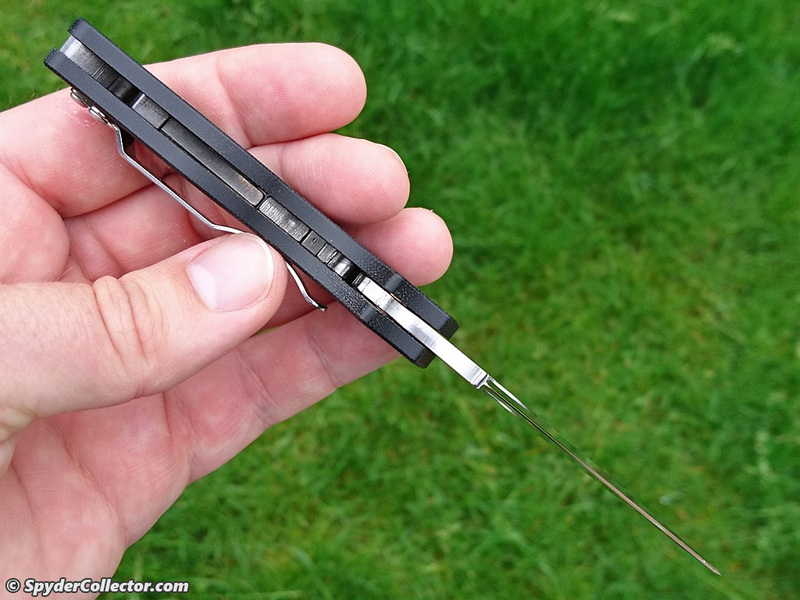 The final part of the clip, that’s closest to the handle, is slightly ‘bent’ towards the handle. This makes my grip more comfortable. At first I thought that it would make clipping to my pants more difficult, After exactly two times, I knew this was not a problem. 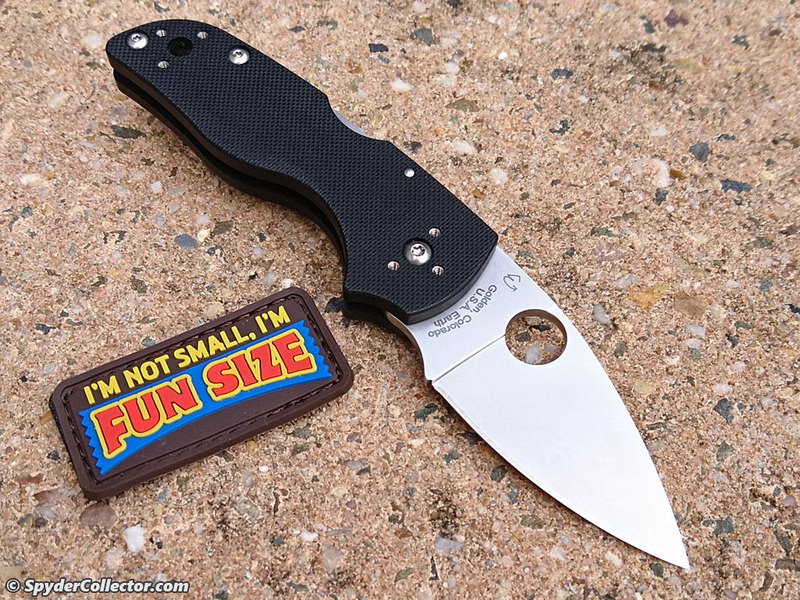 The knife clips just as easily to my pants as my Delica. 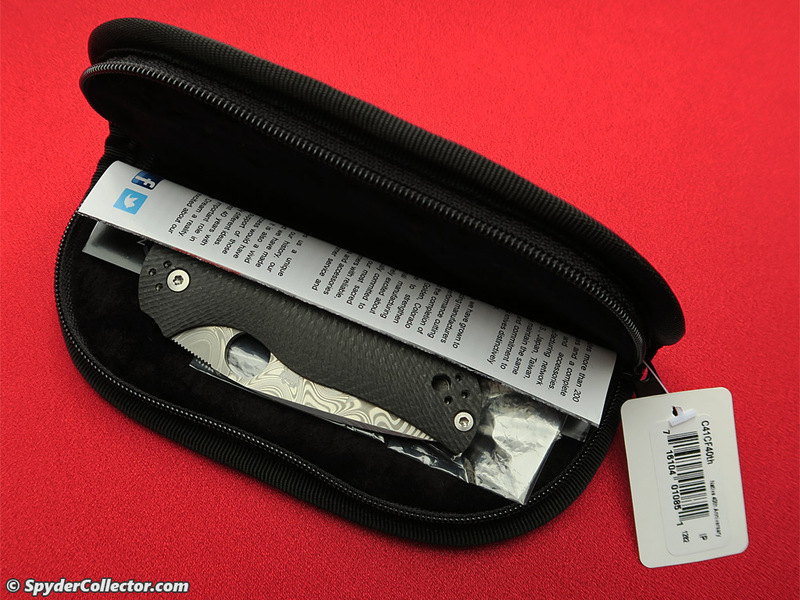 For an everyday carry utility knife, clipping and ‘un-clipping’ must be easy or else it will get annoying to the point that it may not be used at all anymore, at least that’s what I think about it. 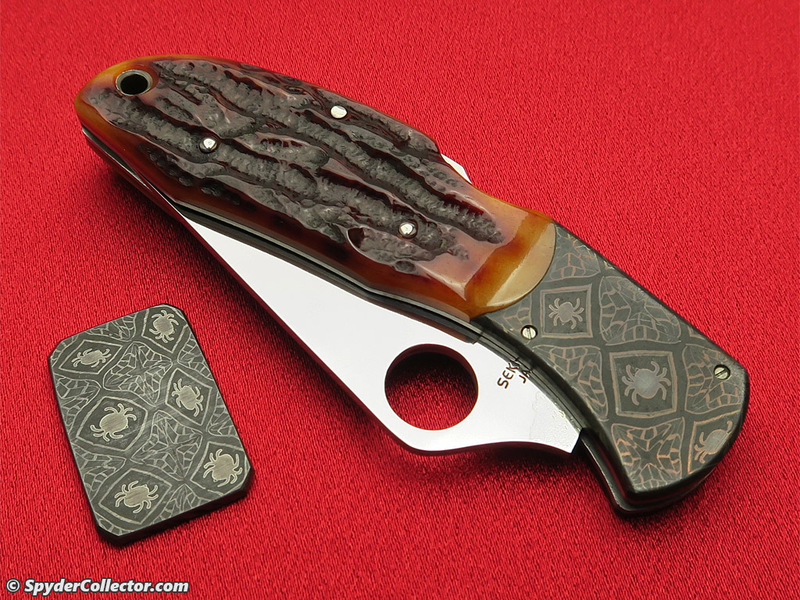 I like this knife! 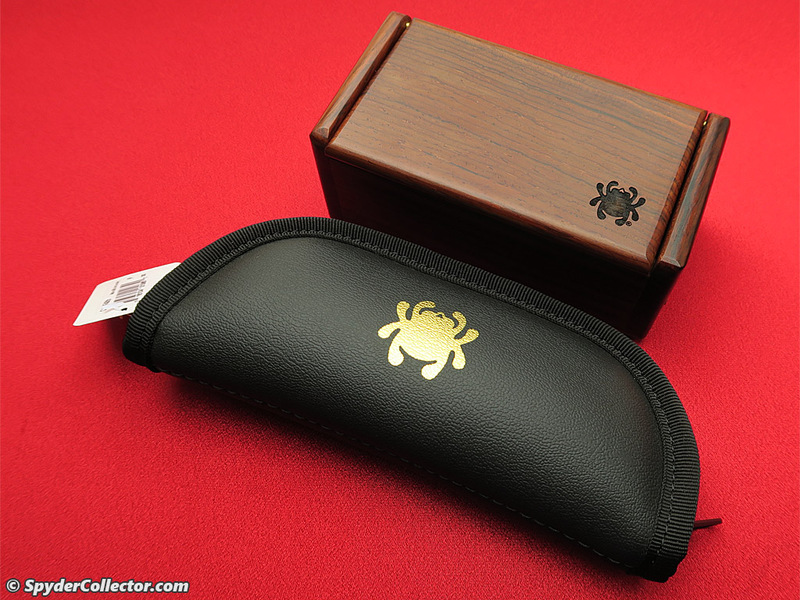 I am typing this after owning it for just one day, but the Native has impressed me enough to type up this review. 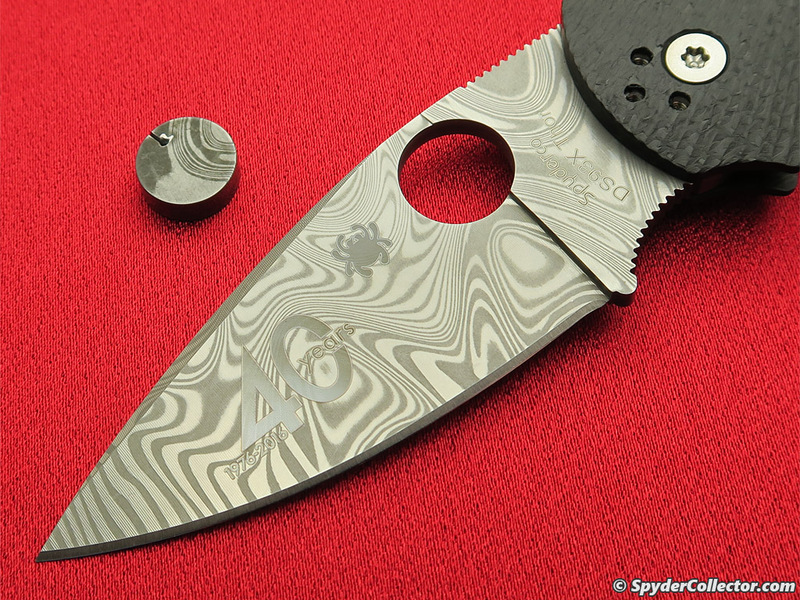 Since I have had this knife for only one day, long term cutting performance is not included here. 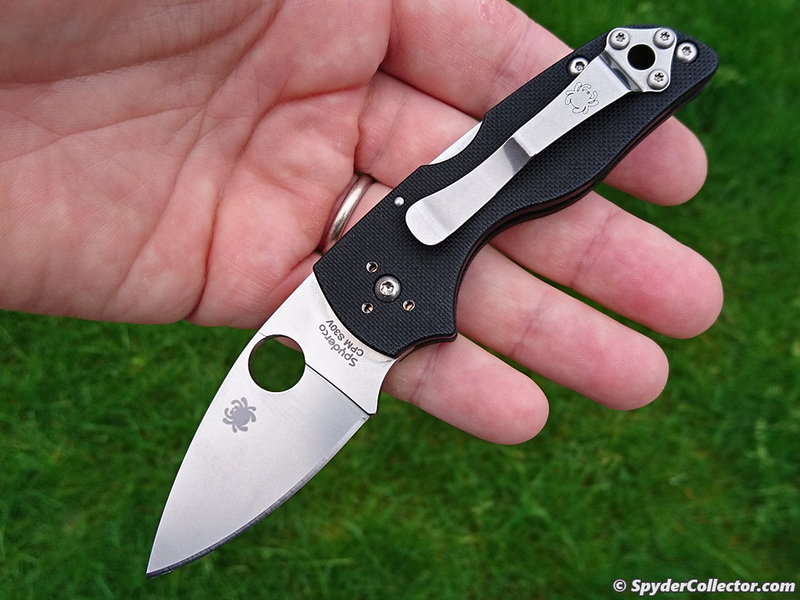 But judging from the experience of other forumites, Spyderco’s 440V is quite a good steel. The price is also right for this piece. 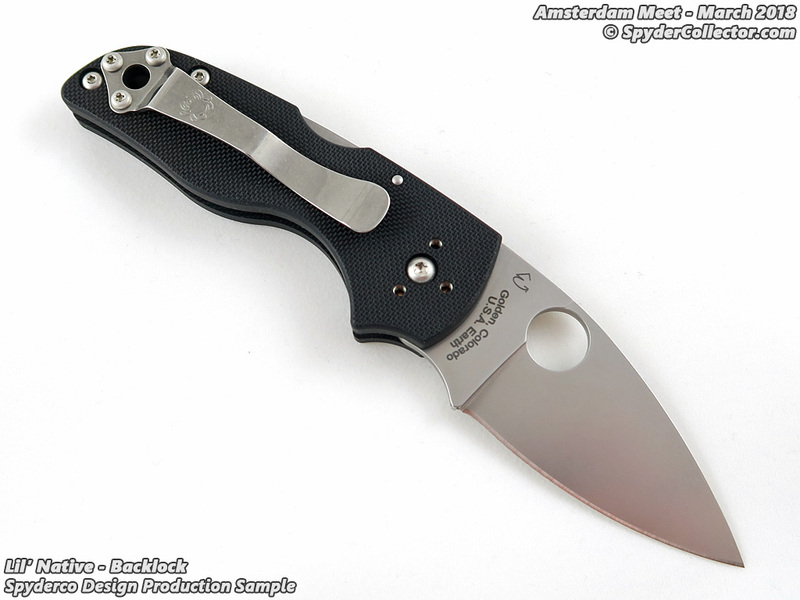 It is a little more expensive than other FRN handled folders, like a Delica for example, but for that extra money you get a premium steel and as usual excellent Spyderco fit & finish. 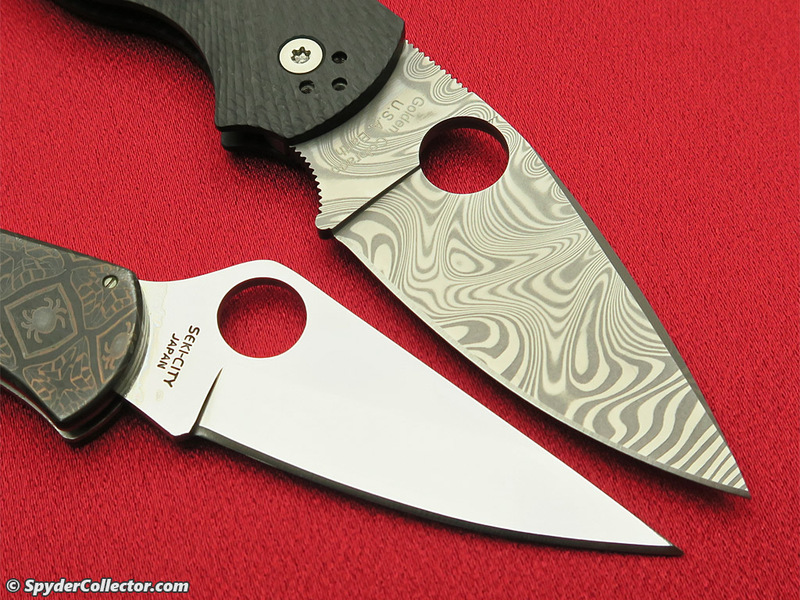 I will not be getting rid of my Delica’s though. 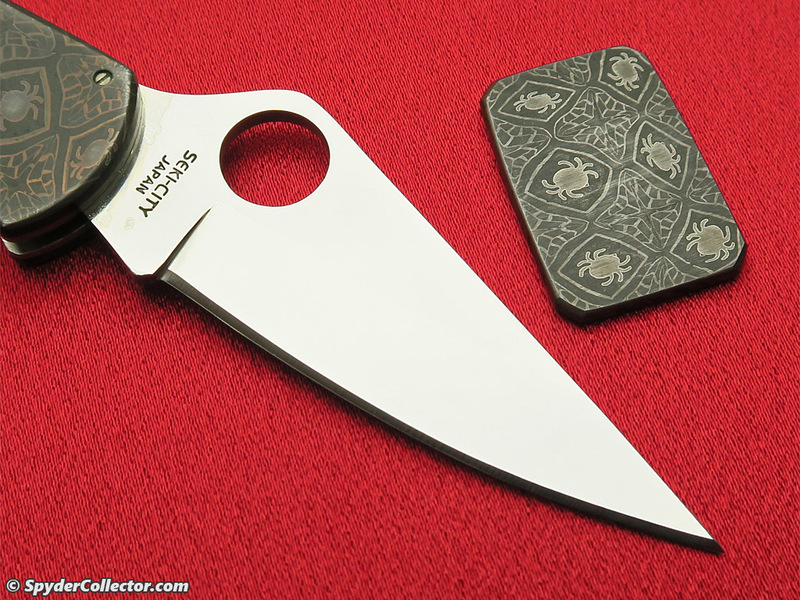 The Native’s false edge and broad blade give it a bit of an ‘offensive weapon’ look for the sheeple. 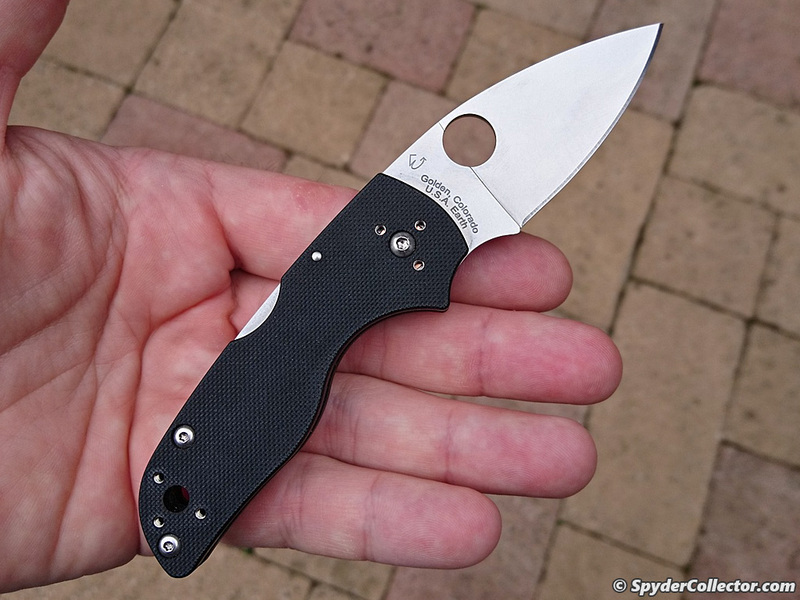 The Delica therefore, is still my first choice when I need a more innocent looking knif(v)e(s) that I can afford to loose. 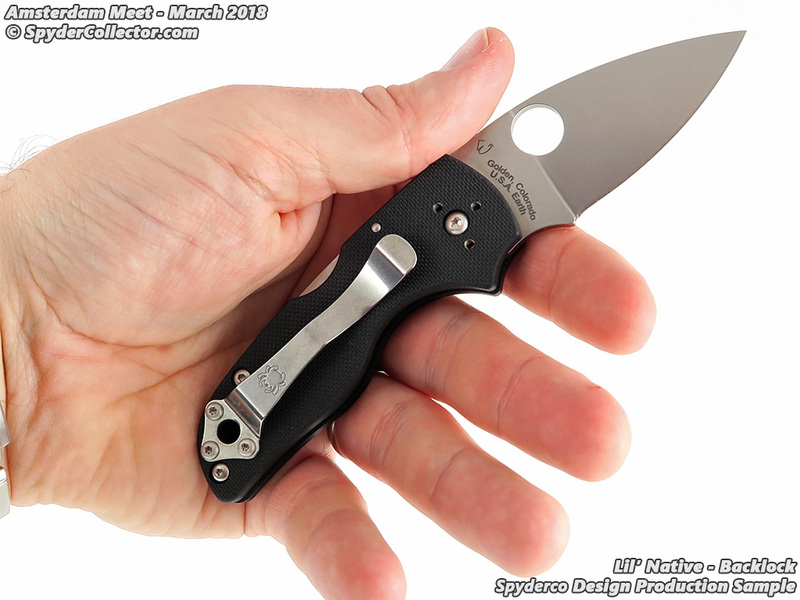 It appears that the Native is now my perfect lefthanded utility/tactical blade. And I can encourage anyone to just get it! 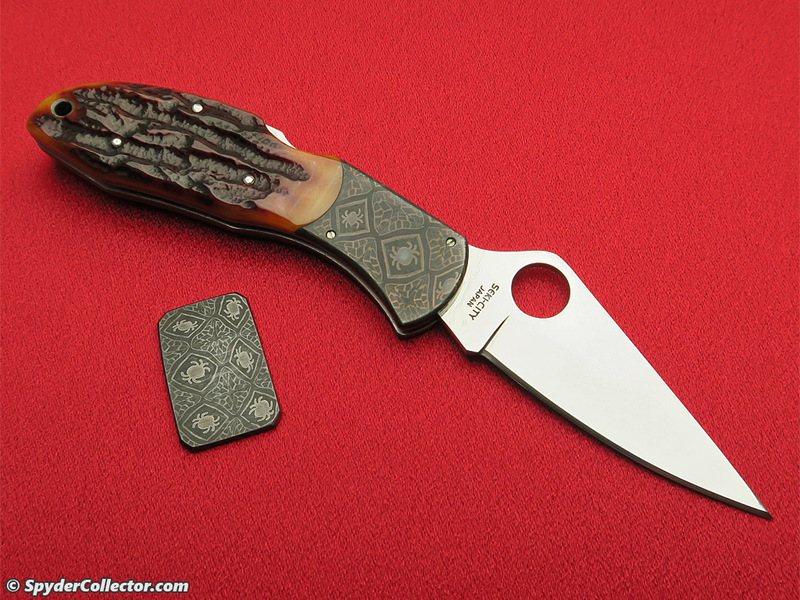 I already got another idea for the Native, it could make a very nice neck knife. 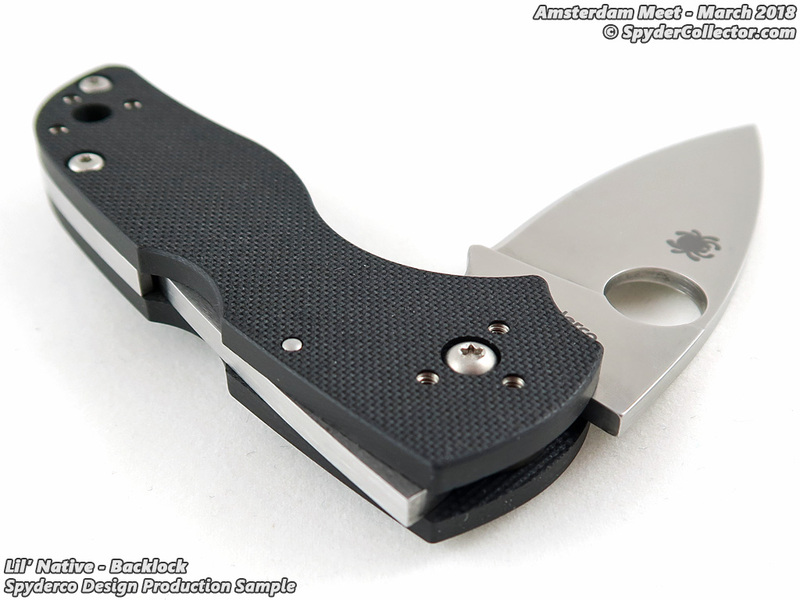 Just take of the clip, make/order a custom concealex sheath for it (in the open position) and voila: a ‘cheap’, light neck knife with a premium steel. 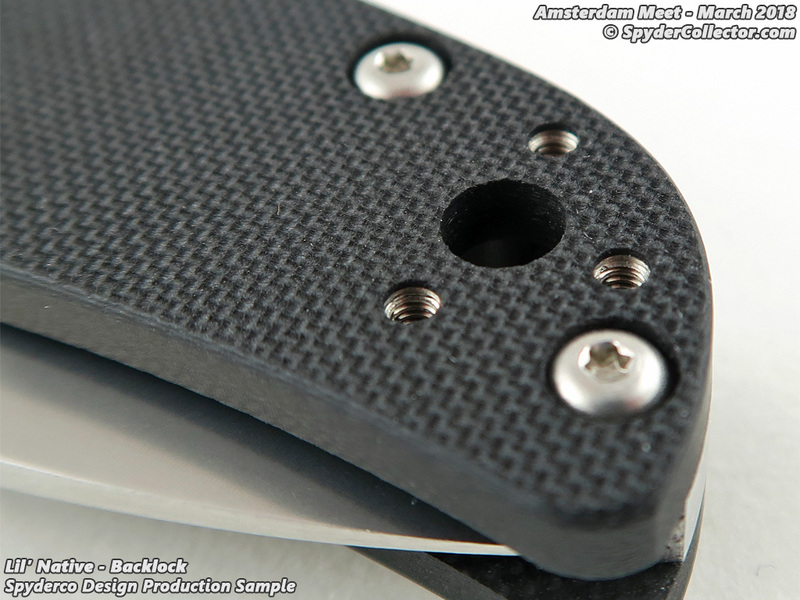 The handle design also makes it a nice back up tactical ‘fixed’ blade. 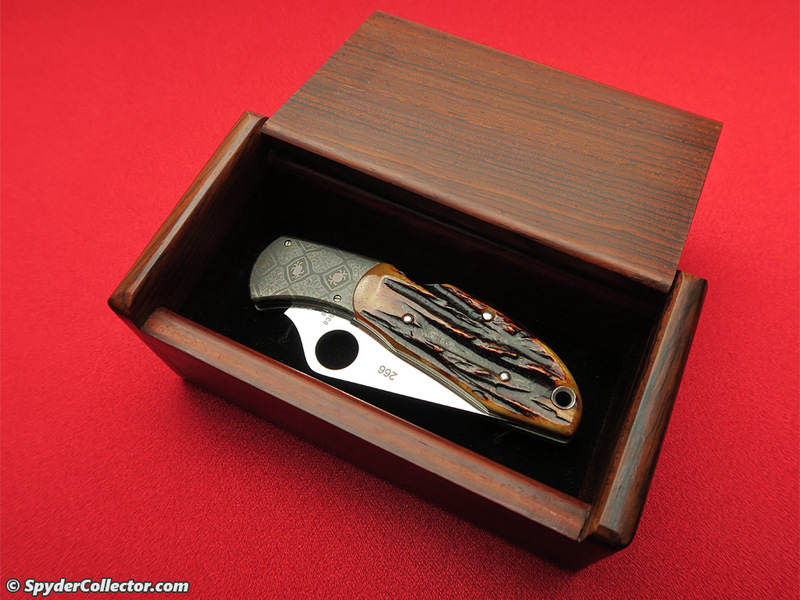 The only problem may be that the whole package will not be as flat as a ‘skeleton (handle) type’ neck knife. But I am sure I am not the first one to think of this. Who turned his Native into a neck knife too? Pictures please 😉 And this concludes my amateur review, cheers.